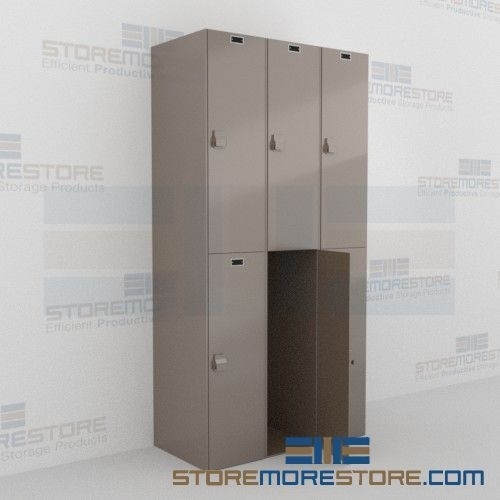 Made of unique non-porous plastic material, phenolic lockers are a great choice for any storage that requires a high degree of flexibility, durability, and cleanliness. Phenolic lockers resist bacteria and will not rust, warp, or delaminate even in wet and high humidity environments. They are also resistant to impact, scratch, graffiti, odor, fire, mold, and other corrosion. The lockers require little maintenance over their long lifecycle. Compared to metal, plastic, laminate, hardwood, and stainless steel, phenolic surpasses these materials when tested for resistance to impact, scratch, graffiti, smoke, and fire. Since the material is non-porous and non-microbial, it also prevents the growth of harmful bacteria, fungi, mold, or mildew that can spread illness. 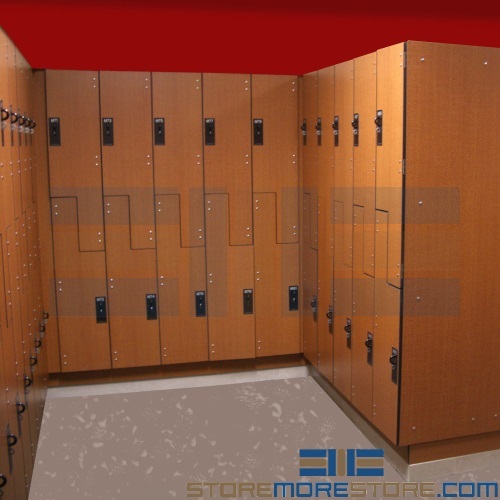 Because of this feature, the phenolic lockers are often used in healthcare, recreation facilities, pool areas, factories, refrigerated areas, and clean rooms. 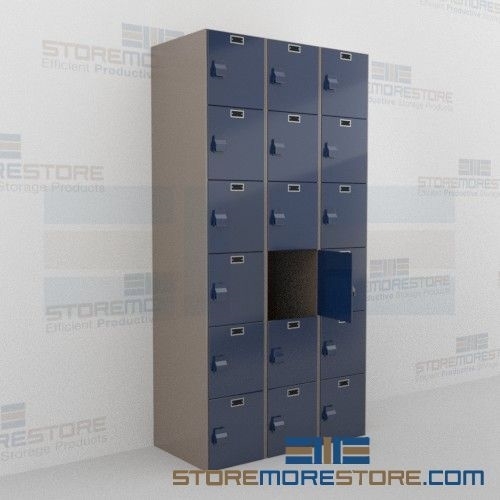 Depending on your needs, the phenolic plastic lockers are available with key locks or digital locks. The digital locks eliminate the need for manual key management and can be configured for temporary or permanent use. LED on the lock will flash to indicate low battery level. Lockers come with a Master Key override to open locks when batteries are low or dead. 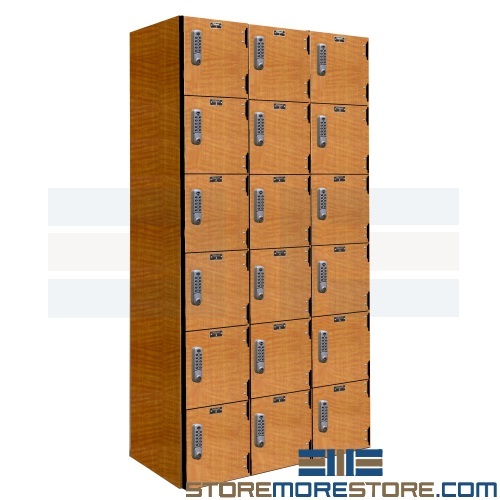 Phenolic plastic lockers are available to buy online and ship in 7-10 business days. For further assistance, call us at 1-855-786-7667 or send us a message to speak to one of our experts.